ParkZen accesses a phone’s GPS information when the Application detects a significant change in motion (i.e. from walking to driving) or when a user utilizes the Application’s directions to an open spot. The Application will collect and process information about a user’s actual location while giving directions. ParkZen will not share its user’s actual location information with anyone. Users can deny ParkZen access to motion tracking while still being able to use the Application’s map function. 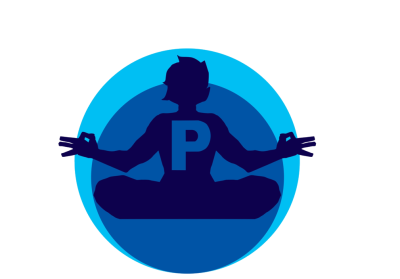 ParkZen does not require a username to use the Application and its users remain anonymous. The Application does not collect personal identifying information about its users such as names or contact information . After a parking spot is vacated the Application will alert other users of the approximate location of the vacated spot. The information collected does not identify the user, the car, or the direction of travel after a parking spot is vacated. The Application is based on a community of users publicly sharing information about their recently vacated curbside parking spots. When you use the ParkZen application, we may collect and process information about your actual location. ParkZen uses several technologies to determine location, including IP address, GPS, and other sensors. In particular, by downloading the app users choose to share when they are leaving a curbside parking spot. This vacant curbside information may be shared both directly to the Application and to all users, by showing a ParkZen icon with the number of minutes since the spot was vacated. The content that you share to all users (vacated curbside parking spots only) is neither private nor confidential. However, your email address, first and last name, and home address will not be visible to others through any reports or user posts that you share or upload. Although ParkZen takes great measures to provide you with the best experience while using the Service, ParkZen has no control over the conduct of any individual user and disclaims any and all liability in this regard. Participating in any user's activities as a result, directly or indirectly, from using ParkZen, is entirely at the user’s own risk. ParkZen is not a party to any agreement entered into between the users in any circumstances. The user has the sole and ultimate responsibility regarding compliance with all laws, regulation or any other duty. ParkZen does not accept any liability for any loss, damage, cost or expense that you may suffer or incur as a result of or in connection with your participation in any activity or event initiated, held or conducted by a user or a third party nor in connection to any agreement between the users or third parties, including any activity or event related in any way, directly or indirectly, with the Application or the use thereof. ParkZen collects information about the use of the Application. Examples of metadata include, but are not limited to: recording the frequency and scope of your use of the Application; the duration of your sessions; information about the device on which you have installed the Application; advertisements that you view or click on while using the Application; the Internet protocol (IP) address and the name of the domain that serves you to access the Application; and the geographic location of the computer system that you are using to log-in. ParkZen uses this information to better understand, operate, and maintain the features and functionality of the Service. ParkZen may permit, solicit or contract certain other companies to conduct advertising campaigns on the Application. The information and advertisements that users see when accessing the Application may be targeted on the basis of geographic or contextual information which ParkZen collect from or is provided by users; as well as information received from third party partners. If when accessing the Application users no longer wish to see targeted advertisements based on information provided by third party partners, they are able to opt out of third party targeted advertisement by following the steps given by their operating system providers at https://support.apple.com/en-us/HT202074 or https://support.google.com/ads/answer/2662922?hl=en . ParkZen considers information security and user anonymity to be a top priority. The Company implements procedures to minimize unauthorized access or use of information. However, these measures are unable to provide absolute assurance. Therefore, although ParkZen takes great efforts to protect your personal information, ParkZen cannot guarantee and users cannot reasonably expect that ParkZen's databases will be completely immune from any wrongdoings, malfunctions, unlawful interceptions or access, or other kinds of abuse and misuse. ParkZen LLC, 2018. All Rights Reserved.